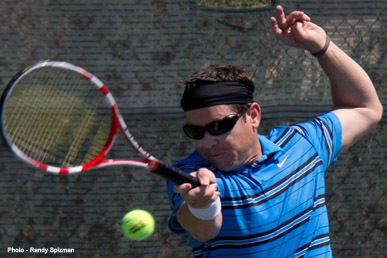 (WHITE PLAINS, N.Y.)– The USTA recently announced that Daniel Marting from Phoenix, AZ will represent the United States at the 33rd ITF Seniors World Team Championships. The nation’s top women and men tennis players in five age groups from thirty-five to fifty-five will compete against teams from over 30 countries March 19-23 2013. The event will be held in Antalya, Turkey. Over 1,000 athletes are expected to participate. Joining Marting, representing the United States at the 2013 ITF Seniors World Team Championships in the Trabert Cup for men aged 40 & over are: Carsten Hoffmann – Newport Beach, William Quest, Ventura,CA, and Neel Grover, Laguna Beach, CA. Marting won the USTA National Indoor Men’s 40 Championship in 2012. He was also the USTA Pro Satellite Circuit Doubles Champion in St. Joseph, MO in 1992 and the ITF Pro Satellite Circuit Doubles Champion in Oviedo, Spain in 1992. Marting has served for approximately seven years as a member of the USTA Southwest’s Investment Committee and in 2000 helped raise $10,000 for the "Celebrity Tennis Smash" which benefited the Phoenix Tennis Association and the Southwest Section. All of the monies raised were earmarked for grass roots tennis programs. The United States medaled in 8 of the 10 Cups held last year when this event was held in San Diego, CA. Following the ITF Seniors World Team Championships, the ITF Senior World Individual Championships will take place March 24-31 at some of the same sites in Turkey. The ITF Seniors/Super-Seniors World Team Championships is the most coveted team event on the ITF Seniors circuit. Since its inception, the number of competitors attracted to this event has increased year by year. In 1993, the ITF decided to divide the Seniors World Championships into two groups, Seniors for the younger veterans (ages 35 to 55) and Super-Seniors for the older players (60 & over). The USTA is the national governing body for the sport of tennis in the U.S. and the leader in promoting and developing the growth of tennis at every level -- from local communities to the highest level of the professional game. A not-for-profit organization with more than 750,000 members, it invests 100% of its proceeds in growing the game.